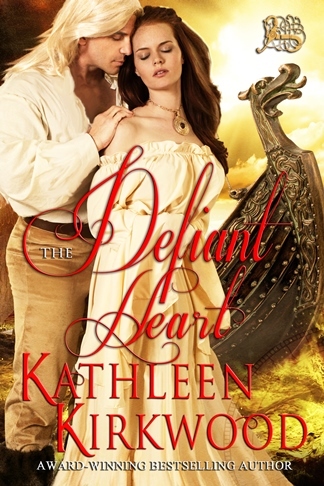 Congratulations to the 10 winners of THE DEFIANT HEART Goodreads giveaway! We shipped out each of your trade paperback copies today via USPS Priority Mail to the US destinations. We’re drop-shipping the two books to Canada directly from Createspace. You should have your copies soon. THANKS for your interest and support! Don’t miss the Goodreads giveaway for 10 copies of THE CAPTIVE HEART (the third book of the HEART trilogy), which is now underway! It ends on August 20th. 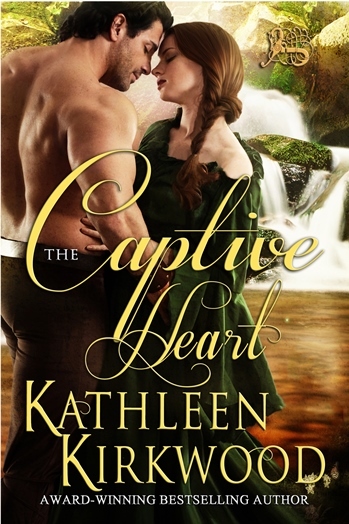 THE CAPTIVE HEART is Here! I love a strong villain or villainess and couldn’t resist bringing one back. As the pages of THE CAPTIVE HEART open, an old adversary returns from the past (THE DEFIANT HEART) to seek revenge. But when the beautiful Ailénor is mistakenly kidnapped, only the handsome Saxon, Garreth of Tamworth, can save her. Join Garreth and Ailénor as their story sweeps from the ducal court of Normandy, to Anglo-Saxon England and the cliffs of Ireland. Visit www.KathleenKirkwoodHistoricals.com for more information and purchase links, and don’t miss the free sample chapters for all three books of the HEART trilogy in Sampler #2. 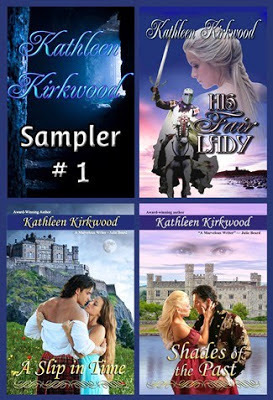 Go to our SAMPLERS PAGE on the Kathleen Kirkwood website for links. PLEASE NOTE: Although SAMPLER #2 is available on Kindle, it has not yet been price matched to FREE, as on the other platforms. Until such time, it is offered at the lowest possible price of 99 cents. Also, don’t miss out on the Goodreads Giveaway of THE DEFIANT HEART which remains open until 7/20/13 . . . Happy reading. I hope you enjoy the HEART trilogy! 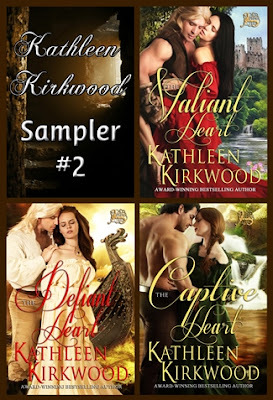 Kathleen Kirkwood HEART Trilogy Sampler Now Available! Happy news! Kathleen Kirkwood Sampler #2 is now available for free download from multiple sites. Go to Samplers Web Page for the links best suited to your eReading devices. THE VALIANT HEART and THE DEFIANT HEART are currently available, and THE CAPTIVE HEART will be added next week on July 15th completing the trilogy. Dedicated pages to each book and purchase information and links to the major vendors (digital and print) can be found at www.kathleenkirkwoodhistoricals.com. Sampler #1 is also available for free download. Please follow the links on Samplers Web Page.